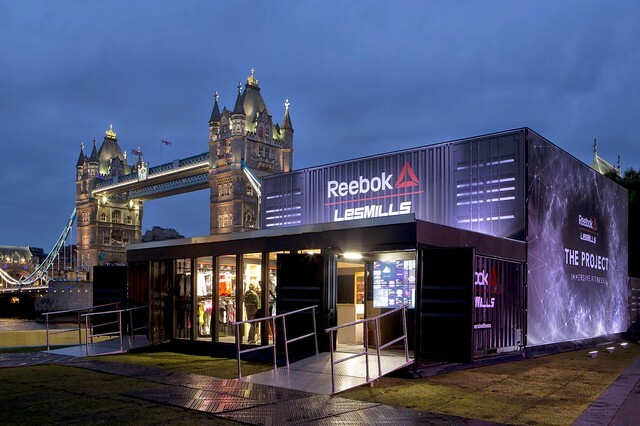 On may 28th, Reebok and Les Mills invited us to the launch of what will revolutionised the studio fitness industry. The Project: Immersive Fitness. I did not know what to expect at all. So until I actually got there, The Project was a bit of a blur. I knew I would workout but that was about it. I even got spoiled with 3 outfits for the occasion. 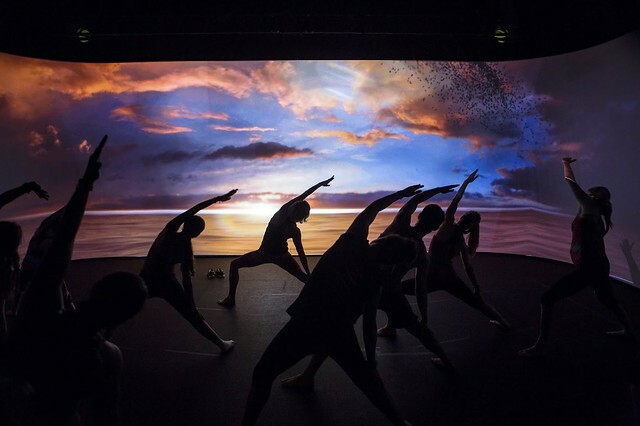 Here's the deal, The Project: Immersive Fitness surrounds participants with cinema quality video content projected onto screens of a purpose-built studio. 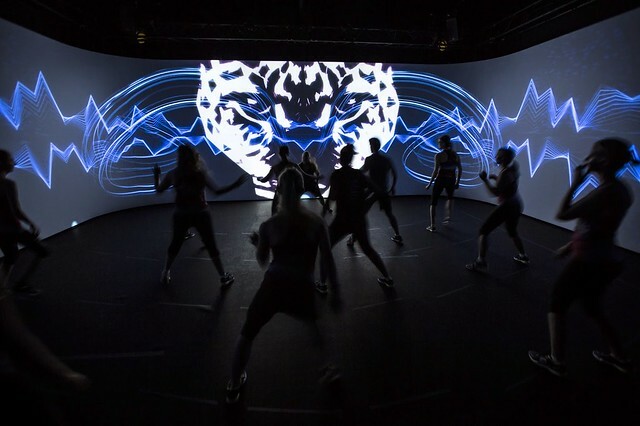 Instructors cue exercise moves synchronised perfectly with music and graphics, creating a truly immersive fitness experience. The new concept is the integration of technology, exercise education and creative design. In order to experience it to the fullest, we had a series of workouts throughout the day: ‘The Trip’ (spinning class), BODYCOMBAT™/LES MILLS GRIT™ Immersive, and BODYJAM™/ BODYBALANCE™ Immersive. All I can say is that I was literally tripping. I am not joking. 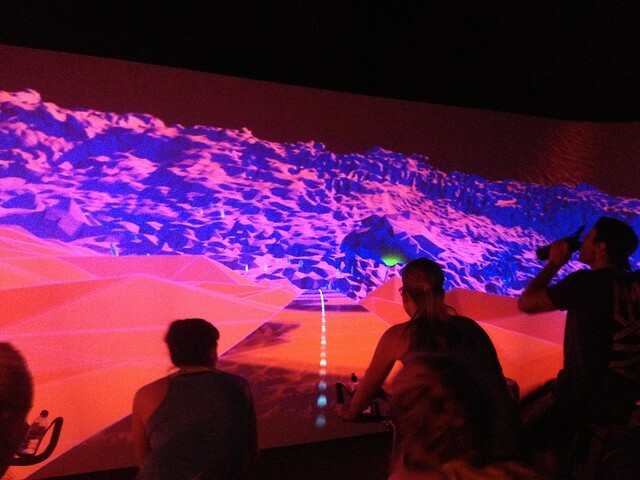 I cycled up an impossibly steep glacier and then sprinted my way around a digital velodrome. It was surreal. I got so into it that I almost fell off my bike as I had to lean to the side during a turn. I surprised myself completely, forgetting reality. I was totally immersed, like I was in TRON. You know...the movie! If you are into fitness you must have participated at least once in a body combat class. The typical BodyCombat class is made out of kicks and punches "in the air" . Here BodyCombat is taken to a whole new level. I became a video game character fighting space invaders. Still kicking and punching with the aim of destroying in order to win. After we were done with the body combat session, we moved on to we Les Mills GRIT. OMG!!!! Les Mills GRIT is basically a high intensity interval training. It was INTENSE - that is the least I could say! There were flying objects on the screen and we had to avoid them by jumping up/down, left/right and squatting. It was so much fun until burpees came on lol. I wanted to scream for help ahahah. Oh dear burpees, I would like to love you again (I did used to love it, oui oui). My fitness has slowed down a little since I became a pastry chef but I'm still trying my best to stay active. 15min of BODYCOMBAT™ followed by 15min LES MILLS GRIT™ where you give 100% effort. Sweat guaranteed. BodyJam is what was I was looking forward the most...hey It's a dance class so I have to be involved! As I came in the room I thought "Oiiiii where are the mirrors???" No mirrors here, only moving graphics. 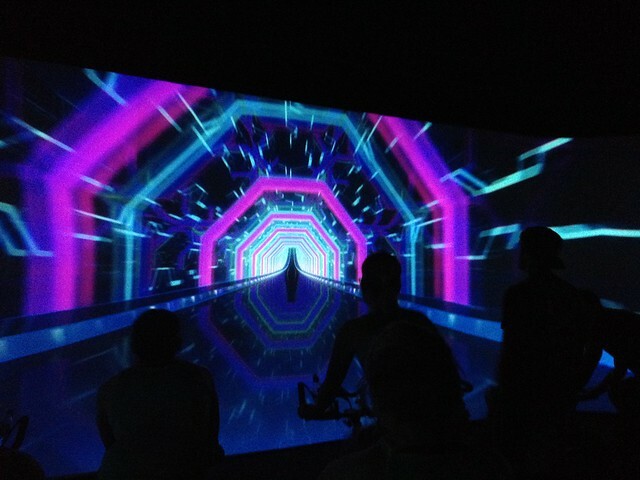 The Choreography was synchronised perfectly with music and graphics, creating a truly immersive fitness experience. I let my body follow the music and graphics without having to worry about the reflection of myself in the mirror. I was in the dark anyway which is great for people who are not necessarily comfortable with dancing. To finish the day, we ended with my least favourite class, BodyBalance. I know I know...Yoga is great but it's just not for me. I don't have the patience, unfortunately. One day maybe I will become a yogi, not just yet though ahah! It was somehow relaxing and the graphics helped a lot. Beautiful New Zealand scenery and very calming music are a perfect combination to relaxation. 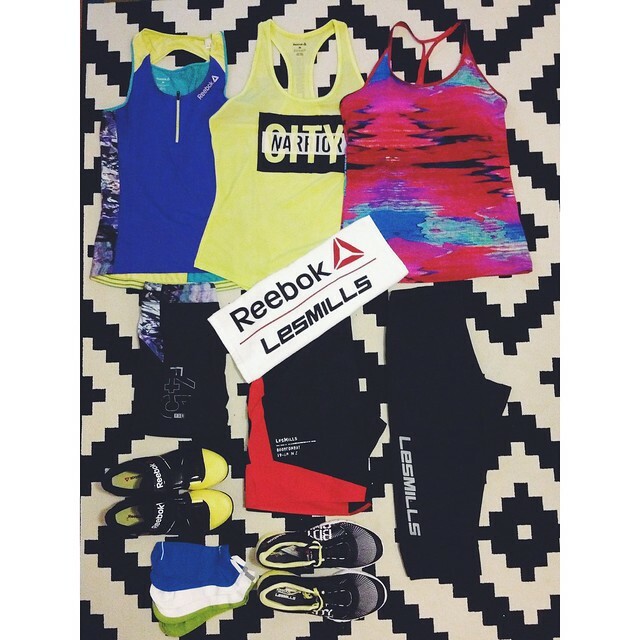 Together Reebok and Les Mills are showcasing fitness in the digital age. 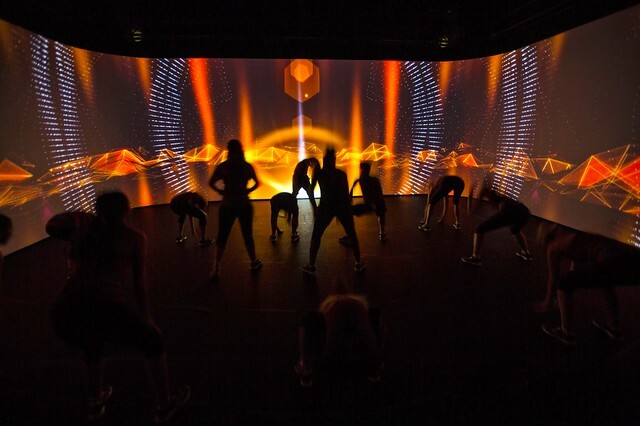 The Project: IMMERSIVE FITNESS™ draws inspiration from live music performance technology and 360° cinema to take the studio workouts to the next level. Are you ready for it?